Business Feature: Fusion Satellite & Internet, Reaching The Parts Of Ibiza Others Can’t. Fusion Satellite, Reaching The Parts Others Can’t. There used to be a famous advert about a product reaching the parts others couldn’t. I’m sure I’ll remember what it is later and have to change this intro, but for now it escapes me. Were it not for my clearly failing memory, I would have used that classic advertising strap line in a metaphor as to how it would so perfectly fit Fusion Satellite, an Ibizan company that have made a business out of reaching those others couldn’t. 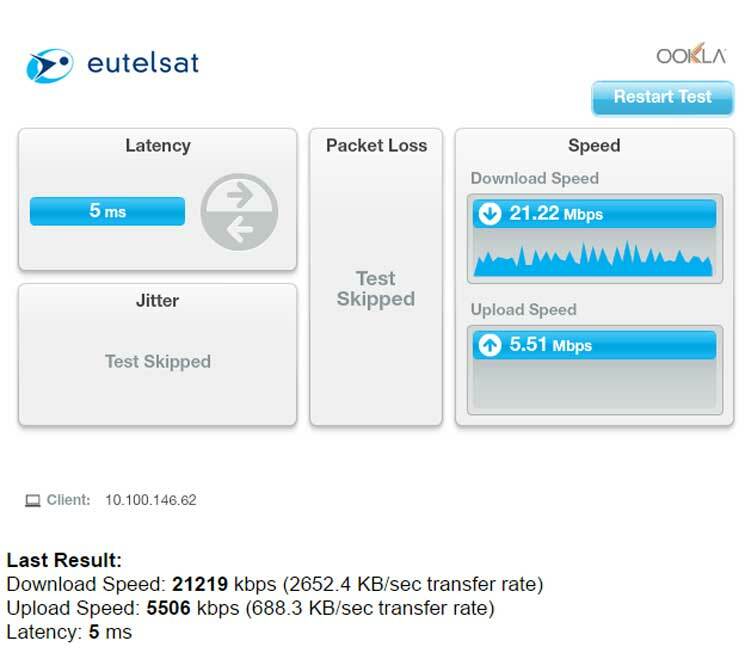 Despite some of Ibiza now revelling in 300mb fibre optic, most of the island is still little further on than the beeps and whistles of dial up modem access, if it has any fixed line access at all. For many years now Fusion have been offering a satellite based internet service that has taken useable internet to the masses, and at 22mb download speeds it is more than capable of streaming video – the most bandwidth hungry use most of us will ever need. 2017 has seen Fusion launch a 4g internet service, which has several key differences to the Satellite service and will be a popular choice for many situations. 4g is absolute simplicity to install. Without the need for rooftop aerials and cabling users can avoid the cost and sometime practical hurdles of installing a satellite system, not to mention unco-operative landlords – a big bonus for many in apartment blocks. Plus 4g is available short term – service can be taken for anything from a month upwards, so bound to be very popular among summer season workers, and summer villa letting owners and agents. Available at up to 70mb the service will be fast enough for all but the heaviest commercial users (or families with 10+ teenagers), and though it uses the same 4g network as mobile phones, it does not rely on you being able to get 4g on your phone where it is to be installed. The wifi modem used by the system has a much stronger receiver than that you will find in a phone. Fusion are not all about internet to areas and properties that cannot get access to fast fixed line services however. Fusion’s services extend to include Satellite Television, both Freeview and Sky, plus a whole plethora of cool gadgets and access facilities aimed to squeeze the best out of whatever internet you are getting, and avoid the restrictions placed upon internet and television for users outside of the UK who would prefer their digital world to work as if it were in the UK. Here we take a look at several of their key services and products, the pros and cons of each, and some guidance on pricing. If you cannot find what you need, or simply can’t make head nor tail of the tech and are one of those people who want to know no more than it is working, you should contact owner Paul Crutwell directly. Aside from those times he is bowling for Ibiza Cricket Club (and probably during if it is a big job), he will be pleased to talk your options through. Requirements: Requires a 4g signal – but as previously stated just because you can’t get 4g on your phone doesn’t mean it won’t work. It has a much stronger receiver and so can obtain a 4g signal in situations your phone can’t. Idiot’s Guide: It looks and works just like any other wi-fi router, it just doesn’t have a cable in the ‘in’ socket. It works like a super powerful mobile phone, using the same network as your phone but with a much stronger receiver. Once set up, you can connect your computers, laptops, sky tv, etc to it by ethernet cable or wi-fi, along with your tablets and mobile phones, just like any regular home wi-fi network. Pros: Absolute simplicity of install and flexibility of contract. Plus you can even take it with you to the beach (the beach bar at least), the local café or anywhere else you have access to mains power and a 4g signal. You won’t need landlord or building permission. Cons: 120GB Data limit. It sounds a lot, and for many people will be plenty, but remember that if you use online TV streaming services such as sky box sets or Netflix, those gigabites can soon get gobbled up. Cost: Options from 37€ per month to 95€ per month. Limit: Options from 20GB Per Month to 80GB per month, plus unlimited use from midnight to 6am. Installation/Set Up Costs: Satellite receiver and modem from free to 129€ according to tariff, installation of cabling etc. by quotation. Requirements: Line of sight. In practice, if you have access to your roof and it is not overshadowed by adjoining buildings, you will probably be OK. If you have to rely on fixing to the side of a building or have other obstacles, you will need to ask Fusion for a visit to test your property. 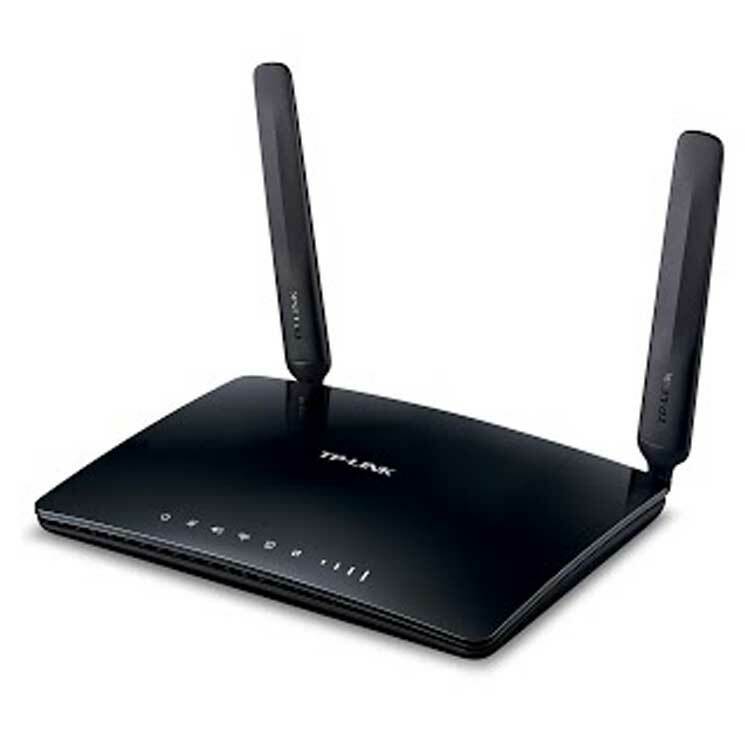 Idiot’s Guide: It looks and works just like any other wi-fi router, but instead of a cable coming in from the street, you have one leading to a satellite dish on the outside of your property. We say dish, but it is a fraction of the size of a Sky dish, quite unobtrusive. Once set up, you can connect your computers, laptops, sky tv, etc to it by ethernet cable or wi-fi, along with your tablets and mobile phones, just like any regular home wi-fi network. Pros: UK IP Address. The tooway system is UK by default, meaning all UK services like BBC player and the simple joy of a Google UK homepage are open to you without further cost. Flexibility of tariffs. With options from just 37€ per month, Fusion tooway is one of the cheapest internet options around. Those with heavier needs can go through a series of 4 tariffs up to the top service at 95€. Though the monthly allowance is relatively low, from 20gb to 80gb, that is perfectly sufficient for day to day browsing. Fusion’s inclusion of unlimited from midnight to 6am means that the movie fan or box set addict should be able to sate their desires with some schedule planning. Cons: The contract terms. I will describe it thus, we have used Fusion’s tooway in the office for some years and have never run into bandwidth or allowance problems, but I know several users who have. To avoid finding your internet under a clampdown and restrictions that will slow you to a frustrating snail’s pace, any tooway client needs to read the contract, and understand the contract. It is a very long contract, and I would say overly complicated. There are restrictions on what you can do and when you can do it, there are also overriding service issues that can affect your usage even if you have followed the rules, but these are rarely brought into play. What you can’t do is sign up for the 20gb option and start downloading series 1-9 of the wire at peak time in the evening. That isn’t so unreasonable is it? You can’t go to MacDonalds and order a cheeseburger, pay for a cheeseburger, and when you have finished the cheeseburger go back to the counter and ask for a free Big Mac because you were hungrier than you thought. Unfortunately with the tooway company (nothing to do with Ibiza’s Fusion and Paul Crutwell), it sometimes feels like half way through eating the cheeseburger you have paid for they grab it out of your hands and throw you out of the restaurant because you weren’t aware of their new policy on the time you were allowed to eat your cheeseburger. But then again, if it were Movistar you would have to queue for 2 hours to get your cheeseburger and when you finally got to the front of the queue they would tell you cheeseburgers were no longer available at that location, and give you a helpline to call that would tell you cheeseburgers didn’t exist; so it’s all relative. We still use tooway in the office, totally happy with it in comparison to what else is available, but I can’t stress enough, read the contract. Tariffs: All have unlimited use midnight to 6am. Idiot’s Guide: The UK VPN Router will typically sit alongside your normal home internet router. You connect your computers, sky tv, mobile phones, tablets etc to it as you would any other router, then it is connected to your regular router. It then ‘tricks’ the internet into thinking you are based in the U.K., so all of the websites and services restricted to internet users outside of the U.K. become available to you again. 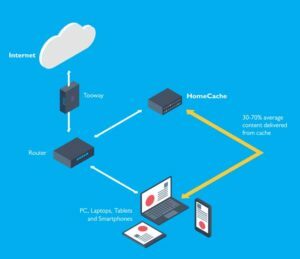 Pros: A much more robust solution than the web/browser based vpn services, and one that works for every device in the home, not just the computer you are running it on. At 10€ a month it is little, if any, more than you would have to pay for a web based service (and the free web ones are rubbish, and often expose your computer to considerable threats and knock on problems). Cons: A slight slow down in your internet speed. The need to keep an eye on your bandwidth if you start using catch up and download tv and films. 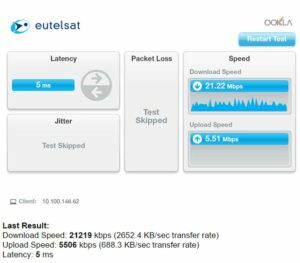 Note: You do not need to pay this 10€ a month is you have tooway satellite, as that is UK based by default. Idiot’s Guide: This is a new one to me, an interesting idea that could be a great benefit to those with slow networks and restricted data allowances. The network cache takes the form of a small box connected to your internet router. In effect it saves whatever you access on the internet, then if you access that same data again, rather than serve it from the internet it serves you the stored version instead. By serving the local saved version it will be much faster than connecting to the web, and also in avoiding the need to download from the net again, it will not use more of your allowed internet tariff allowance. It claims a typical saving of 30-70%. Pros: If you have an allowance of 20gb, the claimed savings will effectively increase your 20gb to between 26gb and 34gb for just £2.50 a month once the unit is paid for. A lot less than the cost of increasing your internet service. Cons: Will it do what it says on the tin? There is no doubt that you re-access a considerable amount on the internet – the reason your browser uses a cache to help speed things along. Whether or not you will benefit will depend on your own internet usage. Idiot’s Guide: It is a cut down version of sky, but without the bills. Pros: Once installed, it’s free. Cons: Limited channels. Though looking at the list on Fusion’s website, not as limited as you might think. Idiot’s Guide: A management company host your ‘ghost’ account in the UK. You pay them an annual fee for doing so, other than that you pay and use Sky pretty well as you would in the UK, though it has to be on a Visa or Mastercard. Pros: It is Sky, good old comfortable and familiar Sky. Regular viewing of live TV and recorded TV does not count towards your internet allowance. Cons: Full use of all facilities, especially box set and catch up downloads, requires sufficient internet data allowance. A single 1080 HD movie will be between 2 and 3 gb, so it can soon add up. Also local services. Your local news etc will be based upon whichever region your ghost account is based in, probably the North West. You can access the other BBC and ITV local channels, but those showing under BBC1 and ITV on your menu will be wherever the account is. A minor frustration. Requirements: Existing internet connection. UK based internet connection. Idiot’s Guide: The Now TV box is a device that turns your TV into a smart TV. 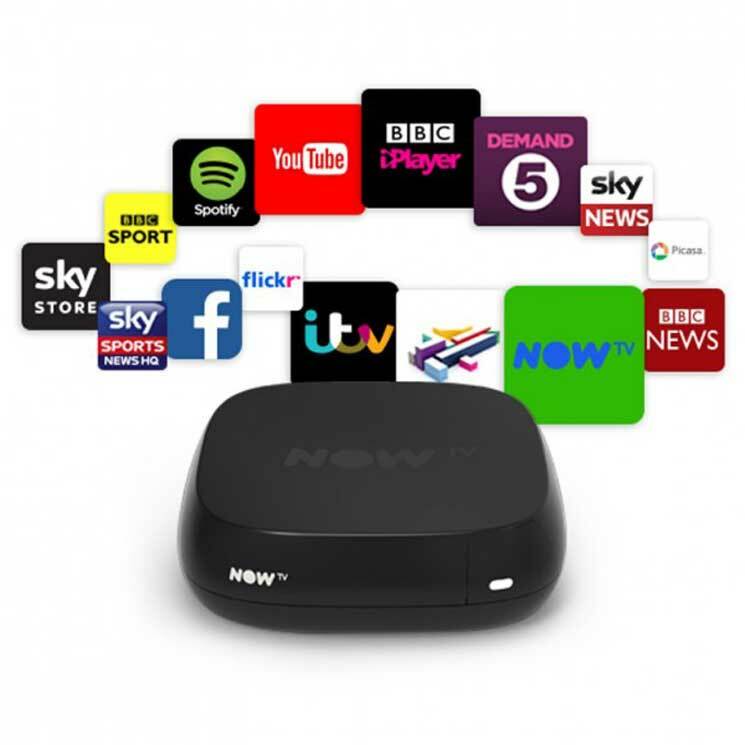 When coupled with Fusion’s UK VPN Router or their UK based Tooway Satellite Internet, it will enable a range of features on your TV including popular free services such as BBC iPlayer, Youtube etc. There are also pay as you go versions of Sky television packages. Pros: Unlike the recently popular IPTV services, it is totally legal. Whether that is important to you when you are already watching a sky tv system set up via a dummy UK account, and using a UK VPN that tricks the internet into thinking you are somewhere else, is a question for your own moral compass. If you are watching a pre-smart TV, the now box is a far cheaper option than upgrading the telly. Another benefit that will be very popular to occasional or limited scope Sports fans, is Sky’s £6.99 sports day pass, allowing 24 hour access. Take Formula One as an example. There are around 10 races a year that are not televised live on free terrestrial television. Total cost using day pass is £70. If F1 is your only sport, the same paid subscription with Sky TV would cost you £264 per year. Note you can buy the NOW TV passes on your laptop, but watching a sports event big enough to pay for huddled around a tiny screen is not really satisfactory. Cons: You’ll need sufficient internet speed and data allowance to take advantage of the full range of services. Overlap – you might already have access to most of what it can do on your other services. Home Wifi Boosting – whichever internet you use, Fusion can boost your signal so that internet is available in all rooms and even the garden. 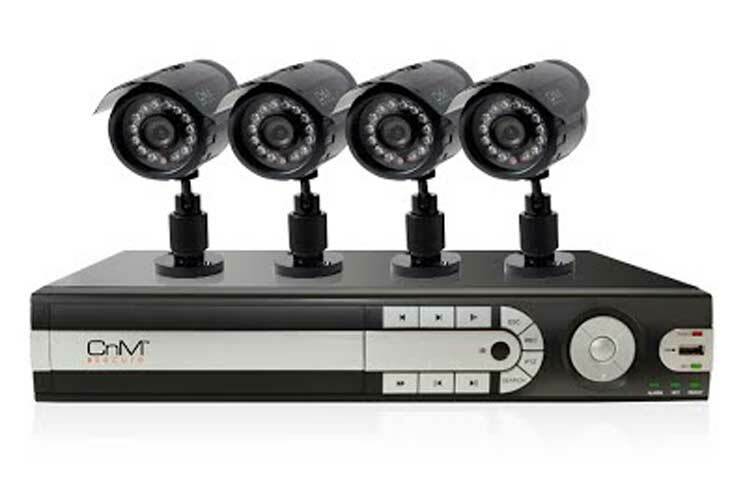 Equipment – for those of a diy persuasion, Fusion sell all satellite equipment on a supply only basis. Live broadcasts – helping the likes of the BBC, Ibiza Rocks, Space and all manner of media folk with their live broadcast from Ibiza. Now, what was that advert, still hasn’t come to me, I think it might have been a brand of beer? Or was it a detergent?